In 1982 businessman Richard Proudfit felt called to feed starving children after he experienced their hardships on a missions trip to Honduras and heard God saying, “If you’ve seen my starving children, feed them.” In early 1987 he incorporated Feed My Starving Children to develop an original meal formula and engaged food scientists, who developed a hearty “Fortified Rice Soy Casserole,” which FMSC re-named MannaPack™ Rice in 2008. The average age of children receiving these meal packets is 5. Feed My Starving Children also developed a unique way for volunteers to pack the meals with fun and music, and the first shipments left on board Mercy Ships in 1994. 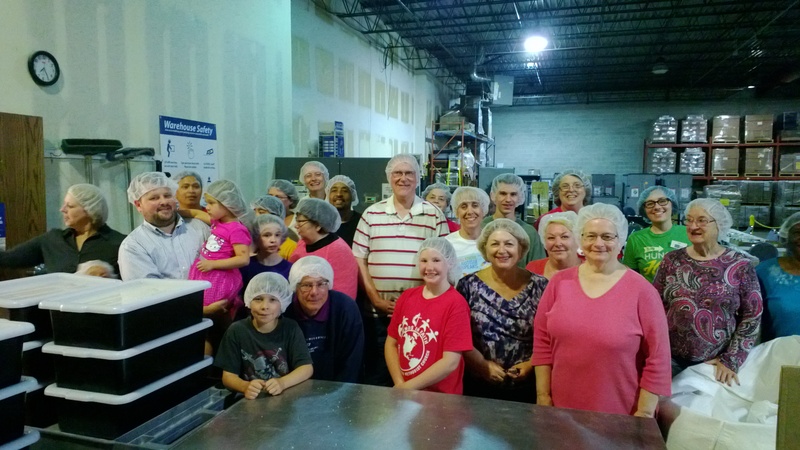 ♦ In 1994 FMSC engaged 2,409 volunteers; by 2013 volunteers numbered 800,000. 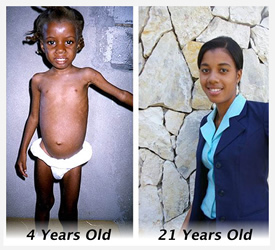 ♦ In 1994 FMSC employed 2 people; by 2013 it had 203 employees. ♦ In 1994 FMSC’s annual budget was $55,000; by 2013 it was $41,000,000. ♦ For 9 years FMSC has ranked among the top 1% of the US’s most trust worthy charities. ♦ Daybreak Homeless Shelter—Friendship UMC’s mission at the Daybreak Homeless Shelter also appears under Hear Us on both the Social Change main page and near the end of the Hear Us main page. √ Video music by Dan Guzman. Hear more of Dan’s music on this site or on the GuzMusic You Tube channel. This entry was posted in Faith, Social Change and tagged Chicago Family Directions, Daybreak Shelter, Emmanuel House, Feed My Starving Children, Friendship United Methodist Church, Hear Us, Richard Proudfit. Bookmark the permalink.